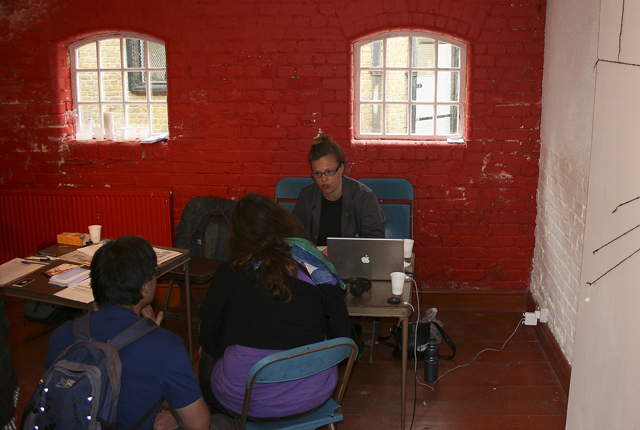 HTAP’s Hackney Wicked exhibition used dialogue and play to investigate community formation. Co curated by Marsha Bradfield, Alison Barnes, Miriam Kings, Lucy Tomlins, and David Woosnam. Featuring six different maps and set out like a fête, visitors moved from stall to stall, informing and directing the maps with their own marks. As a research and collection centre, it enabled experimentation with a sense of place to uncover micro stories and patterns; investigating community formation through dialogue and play Over 150 visitors attended this event during the five hours the doors were open. Pattern making for beginners proposed creative cartographies as a way of imagining new forms of social cohesion: a day-long event at the Hackney Wicked festival to exhibit and further HTAP’s ongoing research into community formation. 1. ‘The Postcode Map’ (aka Starburst/Mother map): As an introduction to participation, the viewer enters the exhibition to find the Post code map. ‘Estimate your home postcode in relation to Hackney Wick (exhibition location) and link the two’. The Postcode Map’ situated at the entrance of the exhibition & introduced the idea of viewer participation. 2. 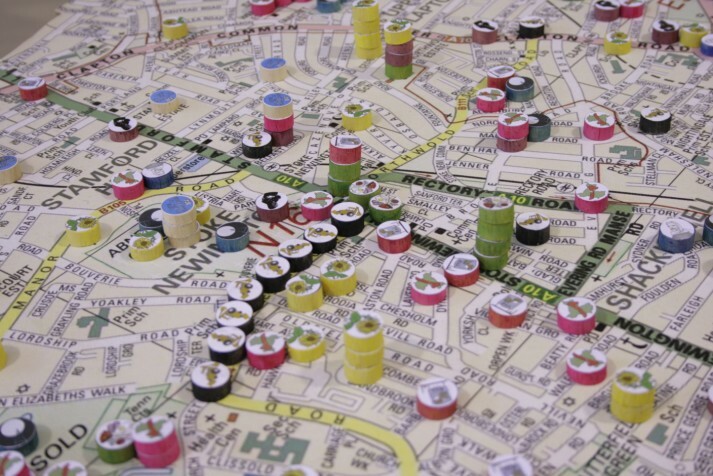 ‘Experience, desire and the nonsensical’ A Board game A table-top version of the Hackney map where revealing sculptural patterns are formed out of individual experiences, desire and fantasy rooted within Hackney. Place the counters where you feel most appropriate. Included: favourite place for a pint, favourite cafe, somewhere you wish to conserve, somewhere beautiful, somewhere you wished to destroy, (bulldozer symbol), a place where you’ve experienced crime, a ladder to the moon, and ‘where you would put Richard Branson’. The board game became a hub of the exhibition, people sharing stories about their experiences of Hackney reminiscent of a campfire situation. 4. ‘Objects and Keepsakes’ Displayed on an old shelving unit, visitors picked up the object to see its story explained on the attached luggage label. Objects were collected from the extended HTAP community, many of whom could not be there on the day. 31 people donated an object of meaning, displayed for visitors to pick up and examine. Communities that donated objects included the Turkish-Cypriot Community Centre, African Caribbean Reunion, and the Pub on the Park. This map was covered by a confessional style cloth. The visitor would write their secret on a piece of paper, put it in an envelope and post it into a box. Then they would mark on the map with a red cross where that secret happened in the borough of Hackney. An oral and written survey: Posturing as pseudo science and/or live art, this performative exchange involves (1) soliciting anecdotal reflections on hearing/spreading rumours; (2) presenting an example rumour (Hackney related); (3) collecting and classifying rumours. 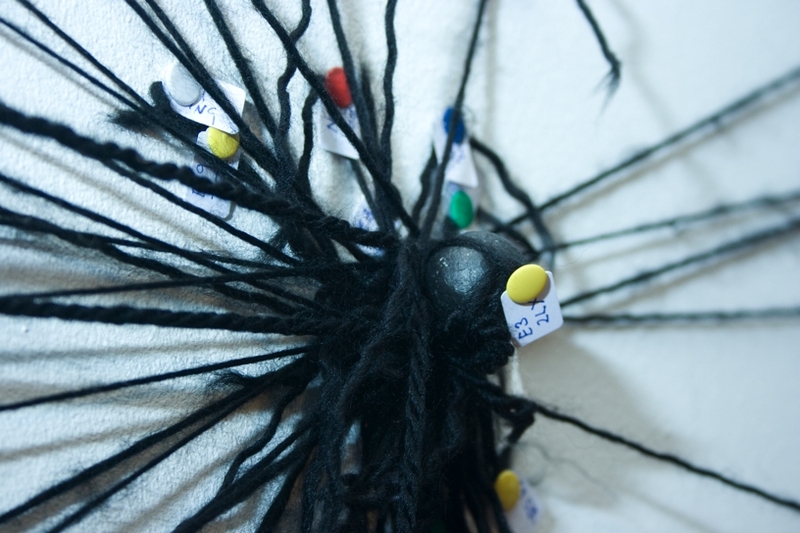 The work from this one-day interactive event was re-presented in the exhibition: ‘in/flux’.